Uncovering your family history? 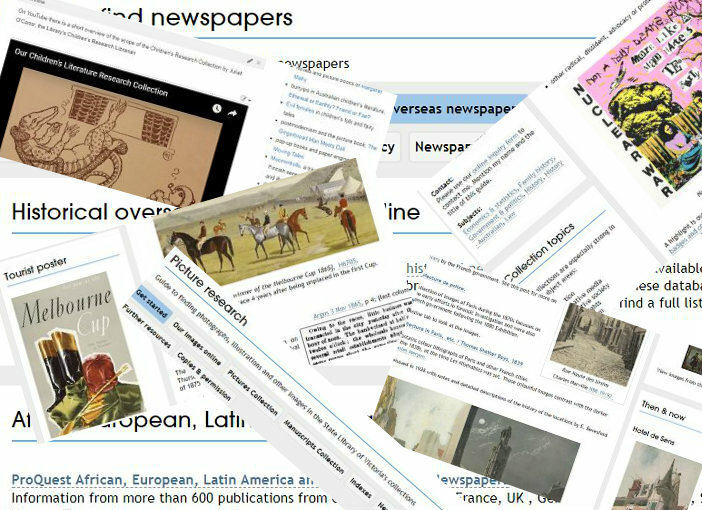 Researching government documents, tracing an artwork, or looking for an historic map? Well have we got a research guide for you! As a leading research library we have resources of enormous breadth, depth and substance, and also great complexity. In our online connected world there is an unprecedented amount of information available but we are also increasingly assailed by unreliable, shallow and unsubstantiated material. Our Library has developed a wide range of online research guides to assist our patrons unravel the complexity and cut through the online white noise in order to access the best information for your interests and research tasks. The guides can be found on Google, Trove, our catalogue and our website. Topics range from frequent research tasks, to tasks and interests that are regular but not frequent. They make complex subjects and collections more easily accessible, navigable and useable. While we focus on our areas of strength, the resources featured include the best available information, wherever that is located. The guides have been extremely popular, and this year we have had in excess of 850,000 hits. 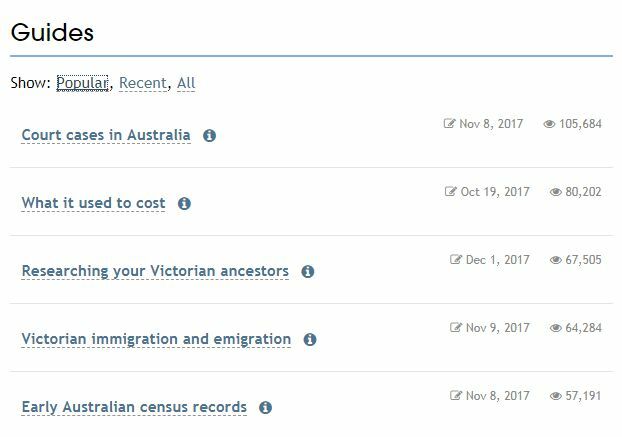 Victorian immigration and emigration – Outlines what records are available for people coming into and leaving our state. See also our Ships and shipping guide. While some of our most popular guides relate to family history, we are a Library for everyone and popularity is only one measure. We have guides on business, the arts, literature, fashion and much more. These guides, too, are heavily used. We also have guides to specialised collections such as our Coles Myer archive, our Magic and Chess collections and our extensive holdings of Patents, Designs, Trade marks and Standards. This year we have been focussing on VCE guides for the English and Literature units, the Australian History units and the Revolutions history units. Within these guides we have been able to identify extensive relevant resources that are accessible online either from databases we subscribe to, material we have digitised or items from other agencies. This means that any student who has one of our cards has equivalent access whether they attend the most affluent inner Melbourne school or the smallest, most isolated rural school. We hope to launch research guides for the VCE Ancient History units and VCE Global Politics units early in 2018. Whatever your interest, we may have a guide that can help.